Design is ubiquitous. Speaking across disciplines, it is a way of thinking that involves dealing with complex, open-ended, and contextualized problems that embody the ambiguities and contradictions in everyday life. It has become a part of pre-college education standards, is integral to how college prepares students for the future, and is playing a lead role in shaping a global innovation imperative. Efforts to advance design thinking, learning, and teaching have been the focus of the Design Thinking Research Symposium (DTRS) series. A unique feature of this series is a shared dataset in which leading design researchers globally are invited to apply their specific expertise to the dataset and bring their disciplinary interests in conversation with each other to bring together multiple facets of design thinking and catalyze new ways for teaching design thinking. 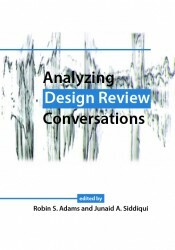 Analyzing Design Review Conversations is organized around this shared dataset of conversations between those who give and those who receive feedback, guidance, or critique during a design review event. 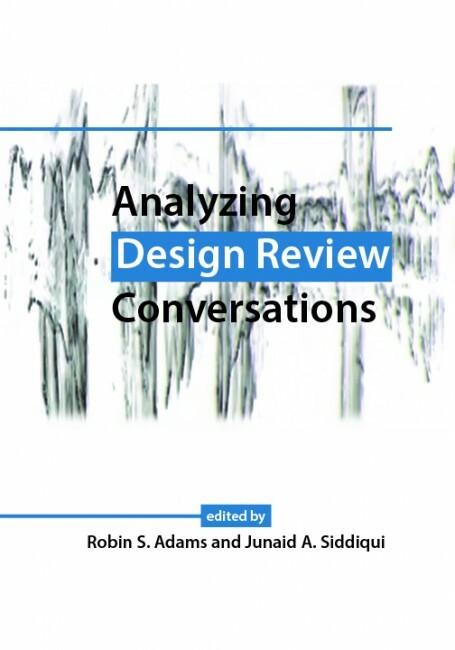 Design review conversations are a common and prevalent practice for helping designers develop design thinking expertise, although the structure and content of these reviews vary significantly. They make the design thinking of design coaches (instructors, experts, peers, and community and industry stakeholders) and design students visible. During a design review, coaches notice problematic and promising aspects of a designer’s work. In this way, design students are supported in revisiting and critically evaluating their design rationales, and making sense of a design review experience in ways that allow them to construct their design thinking repertoire and evolving design identity. Robin S. Adams is an associate professor in the School of Engineering Education at Purdue University. She holds a PhD in education, an MS in materials science and engineering, and a BS in mechanical engineering. Her research focuses on developing “languages for learning” in crossdisciplinarity, design, and engineering education transformation. Junaid A. Siddiqui is an assistant professor at King Fahd University of Petroleum and Minerals in Saudi Arabia. He received his PhD in engineering education from Purdue University. His current focus in research is on studying the transformation of engineering education and the integration of educational research with practice.